The repository is where I store things that can no longer be found or are hard to find. Looking for something? Let me know. Want to store something here? Let me know. j2me <DIR> 12 items Thu, 03 Feb 2011 22:22:13 -0500 J2ME applications/games. literature <DIR> 4 items Sat, 02 Apr 2011 17:04:02 -0400 Random literature or information. public-domain <DIR> 3 items Wed, 21 Mar 2007 15:53:18 -0400 Public domain items. scripts <DIR> 5 items Thu, 05 Dec 2013 23:42:51 -0500 Scripts I've developed. ut2004 <DIR> 3 items Wed, 21 Mar 2007 14:28:21 -0400 Repository for some Unreal Tournament 2004 mods, mutators, etc. Some of these may also have been for 2003, but they work in 2004, naturally. windows-linux <DIR> 3 items Fri, 31 Aug 2007 14:23:50 -0400 Items pertaining to Windows <-> Linux interoperability. 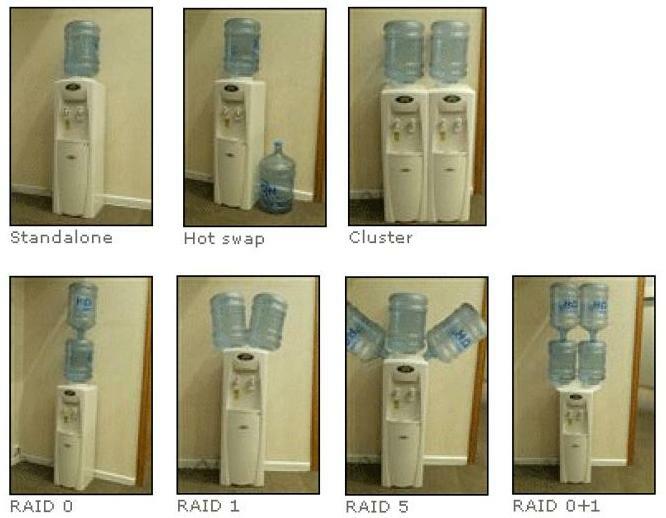 raid_demystified.jpg jpg 42.8 KB Tue, 03 Apr 2007 20:46:48 -0400 A watered-down explanation of RAID HDD configurations. toc.php php 6.0 KB Wed, 11 May 2016 19:43:46 -0400 View this file to see a tree listing of the entire repository. WARNING: Can be very long!